Haynes continues to expand its range of printed and online workshop manuals by adding the Mercedes-Benz C-Class to its ranks. Covering 07- to 63-plate diesel versions, known as the W204 Series amongst enthusiasts, the C 200 CDI, C 220 CDI and C 250 CDI saloon and estate are all included, but not the 3.0-litre C 350 CDI. 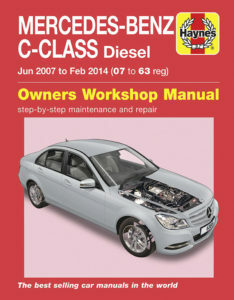 The hardback book costs £22,99, less than the price of an MOT, and could save you a fortune in repair bills. The online version is even cheaper at £20 and you simply browse it as you would a website, zooming in on colour photos and wiring diagrams. There are videos and a search function, and of course itís impossible to get the digital versionís pages covered in oil or forget who you lent it to. More information is available at the Haynes website, on Amazon or any good bookshop. Itís 20 years since Foliatec Brake Caliper Lacquer first arrived, and in that time, cars have been fitted with increasingly larger disc brakes front and rear, bigger alloy wheels and lightweight designs of wheel with increasingly narrow spokes. This has made brake calipers far more prominent, giving enthusiasts more reason to transform them from dusty grey lumps of metal into bright stoppers that catch the eye. Foliatec Brake Caliper Lacquer also comes with brake cleaner to ensure you are applying it to a clean surface. For around £6 extra itís also worth picking up the Brake Caliper Mounting Set that comes with a pair of disposable gloves, both steel and soft brushes, together with a scoop to clean the calipers even more thoroughly in the first place. All of these items can be ordered directly from the Foliatec website at www.foliatec.co.uk. As engineers fight to save weight and cut every vital gram off the CO2 emissions figures and designers try to liberate every last litre of boot space, many models have seen their spare wheel slashed in favour of a can of tyre foam and an electric compressor. For many, this ëget you homeí solution isnít considered adequate. Not only can tyre repair kits be hit and miss, they also arenít much comfort if youíre miles from home or stranded on a motorway hard shoulder. In response, the RoadHero Space Saver Wheel Kit has been launched. 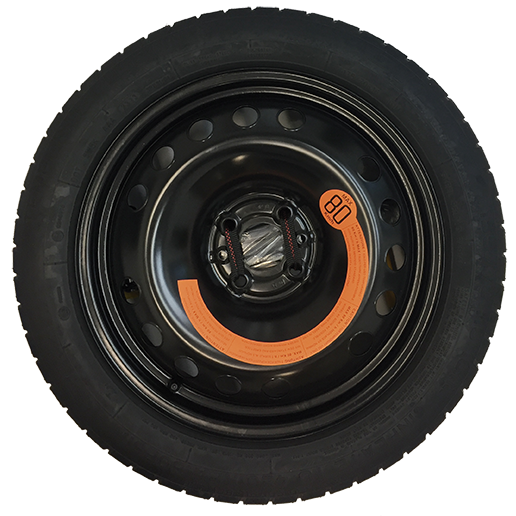 It comes with a compact space saver spare wheel fitted with the right tyre for your vehicle. Also included is a jack and wheel brace that stow inside the wheel, with the whole lot then slid into a neat carry bag that keeps it looking smart in your boot. Prices vary according to the make and model of your car, but a Ford Focus with 17-inch wheels will cost £209, for example. Visit the alloywheels.com website to check on the price for your car.